sailboat. : This Week #001. Ever since I got super lazy & stopped doing instagram posts, I've very much missed having a staple Sunday post to talk about my week and the things I've been particularly liking. Thus, 'This Week' is born, a place to ramble about my favourite quotes, books, products, blogs and anything & everything in between - it'll be a bit different each week. And if nothing exciting/interesting/funny happens throughout the week, which happens sometimes when I'm holed up in the office essay writing, well, I guess I'll just skip that week. But hopefully that won't happen too often because those weeks are just no fun! Oh, and I also have a question for you at the end, I always need your advice about something! Meet my new baby! The completely pants instagram photograph doesn't do it justice but I've left my other camera at my boyfriends parents house because I'm silly. I was looking for a digital camera that wasn't as large as my Canon, but still had a little bit of control over the images it takes and the Nikon 1 V1 is just that. I have the 10-30mm lens on it currently and it's beautiful. Nikon cameras & lenses manage to capture colours so wonderfully and for a point and shoot camera, I'm very impressed! I love to take photographs, but sometimes I don't feel like carrying a big DSLR as well as a couple of film cameras and I felt like I was missing out on so many photo opportunities so I'm so happy to have this little baby in my life. Good things really do come in small packages. My boyfriend finally had a day off from work this week (hey mister boss man, you're working my boyfriend too hard & I'd quite like to see him sometime, thank you!) so we went on a little Yo! Sushi date and I got my kaiso salad fix. In fact, I may have eaten two. SO yummy, I really wish I knew how to make this myself! Blogger recommendations are amongst my favourite posts to read because, well, I love discovering new blogs to read and I don't think I share my favourites with you enough! This week I absolutely have to mention the ever gorgeous Nicola from Our Little Balham Life. I'm not even sure what to say about Nicola, I just love her and I wish she could be my in real life best friend! Her blog is a place for her to document her life and I love those glimpses into her little adventures and sharing in her thoughts about her hopes, dreams and wishes. You'll love Nicola too, I promise! A little while ago I totally gave into the hype & got Benefit They're Real mascara and surprise surprise, I really like it. I can't lie, I was secretly hoping that I would hate it purely because it's so expensive and honestly I don't think it's worth the price tag because it's not perfect, but I'm finding myself getting addicted to the way it makes my (usually pretty pathetic) lashes look. Oh dear. This is pretty far away from my usual 'style' (not that I really have a style, but you know what I mean), but I absolutely love this parka from Mary Jane Fashion and I'm so happy I decided to try something a little different. I've been wearing it almost daily and I've been pleasantly surprised with how warm & well made it is. I think this would look amazing with a simple tee and some indigo jeans, in fact this jacket has inspired me to look at jeans again, so that's what I'm on the lookout for next! Okay, so I need your help! Do you have a friend/relative/parent/anyone who is usually a bit of a technophobe & only likes simple and straightforward technology but has a tablet that they really really love? And if so, which tablet is it? I'm looking at getting my mama one and I think so far I'm torn between an iPad mini, a Google Nexus 7 & the Kindle Fire HD. The most important thing is that it has to be super easy to use. In terms of features, I know she won't be one to use lots of different apps but the basics plus a bit of choice would be nice to have just in case. It's for casual browsing, emails and maybe for reading if she gets on with reading from a screen instead of a physical book. Any help would be really appreciated! Or if you have one of these tablets (or a different one) I'd love to know your thoughts on it! Thank you! What has been you're favourite thing about the past week? I'm loving this post! Can't wait to read more of 'This Week'. 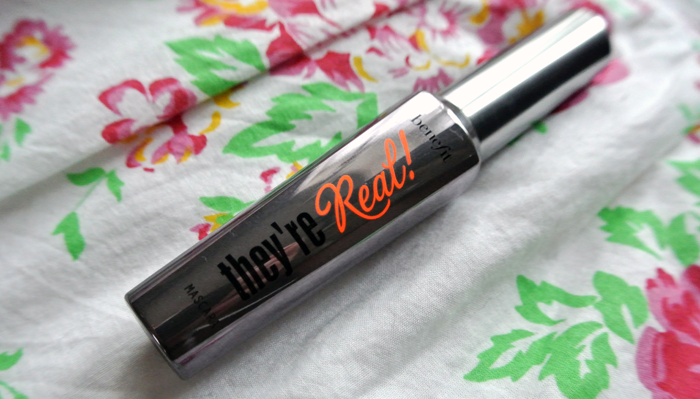 I'm really wanting to try 'They're Real' but I can never justify the price tag! Lovely post Jennie! I dont know what advice I can give you re the tablet. I have an ipad and find it easy. Maybe the kindle fire will be the best option for simplicity? My fiance's family are going to get his Nana an ipad for her birthday so I'd say an ipad. She's already looked at it and agreed it's the best one for her needs. Also she has arthritis and the ipad is the best screen size for her too, which might help you a little bit. Oh my goodness jennie, you literally have made my day. You are the sweetest person :) Thank you so much...really cheered me up on this dreary Sunday!! Oooh I love this new feature Jennie, I was thinking of getting that camera when I have a bit more cash so it's good to see a review. The Google Nexus is amazing, I got my Fiance it BUT for you mum I would go with the Kindle, easiest to use and has everything she will ever need. My mum has got the Samsung one and thats extremeley easy too. so either of those too. the ipad is just a rip off! Loving this new blog feature! I don't own a tablet but having been longing for a kindle fire HD for a while now, I saw a ipad mini and kindle fire HD comparison on amazon and although its probably biased, the specs are amazing as well as it being considerably cheaper. I have a Klu by Curtis Android tablet and it's really amazing, and was only $100 here in the US. It's not something for a ton of apps, but it gets the internet, has cameras, and takes decent pictures. It also has a great, big, 3 inch screen. My brother on the other hand has the Good Nexus and that's a lot better for apps. He really likes it, and it's a lot cheaper than an iPad, but it actually has double the speed for it's operating system! I hope that helps! Either way, I'm sure he'd like anything! Tablets are pretty great! Ah what are you doing to me? I'm trying to convince myself I don't need to try that mascara! I LOVE Nicola's blog too. She's just so quirky! 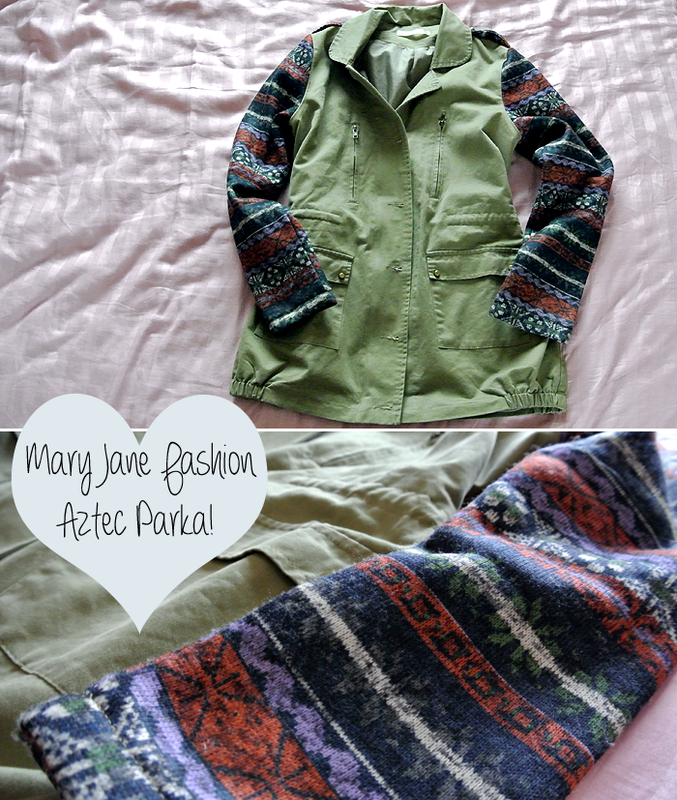 The Aztec parka is gorgeous! I love Benefit's products, they are all so good. Happy new year. 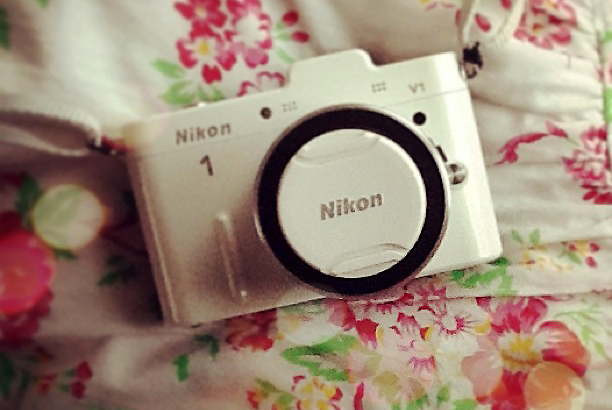 Great post-I love that camera so much :) And nice mascara pick-it really is so good for long dramatic lashes!! 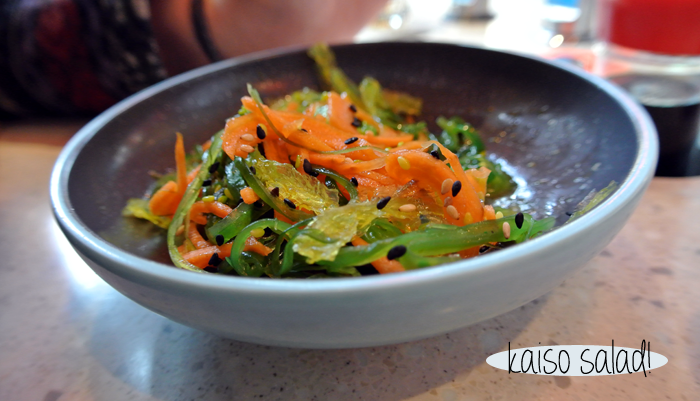 So cool that you like seaweed salad! I'm half Korean so I've grown up eating that my whole life... it's so yummy but a lot of people think it's strange! And your parka jacket is adorable. Just discovered your blog, I'm loving it already! The parka sounds so comfy, wish I had one too! I am so in love with that Parka! Also like Yo Sushi! salad looks Yum yum yum!